للمسافرين الذين يرغبون أن يعيشو كل ما تقدمه بانبورى, Ocean Drive Motel هو الخيار الأمثل. يمكن من هنا للضيوف الاستمتاع بسهولة الوصول إلى كل ما تقدمه هذه المدينة النابضة بالحياة. يضفي محيط الفندق اللطيف وقربه من ‪Boulters Heights‬, ‪St Patrick's Cathedral‬, ‪Bunbury Lighthouse Lookout‬ سحراً خاصاً على هذا الفندق. استمتع بالخدمات الراقية والضيافة التي لا مثيل لها بهذا الفندق في بانبورى. إن خدمة التنظيف يوميًا, تخزين الأمتعة, واي فاي في المناطق العامة, صف السيارات, غرفة عائلية هي جزء فقط من الخدمات التي تميز Ocean Drive Motel عن باقي الفنادق في المدينة. تنعكس أجواء Ocean Drive Motel في غرف الضيوف.تلفزيون بشاشة مسطحة, اتصال لاسلكي بالإنترنت, اتصال لاسلكي بشبكة الإنترنت (مجاني), غرف لغير المدخنين, مكيف هواء هي بعض الميزات الموجود في العديد من الغرف. كما أن مجموعة الخدمات الواسعة الموجودة في الفندق لضمان راحتك تترك لك الكثير من الخيارات لقضاء وقتك أثناء فترة إقامتك. إن كنت تتطلع إلى إقامة مريحة وهادئة في بانبورى، فستجد في Ocean Drive Motel بيتك الثاني. The lady at check in was nice and friendly. The beds were comfortable, room was clean and the shower was lovely and warm. 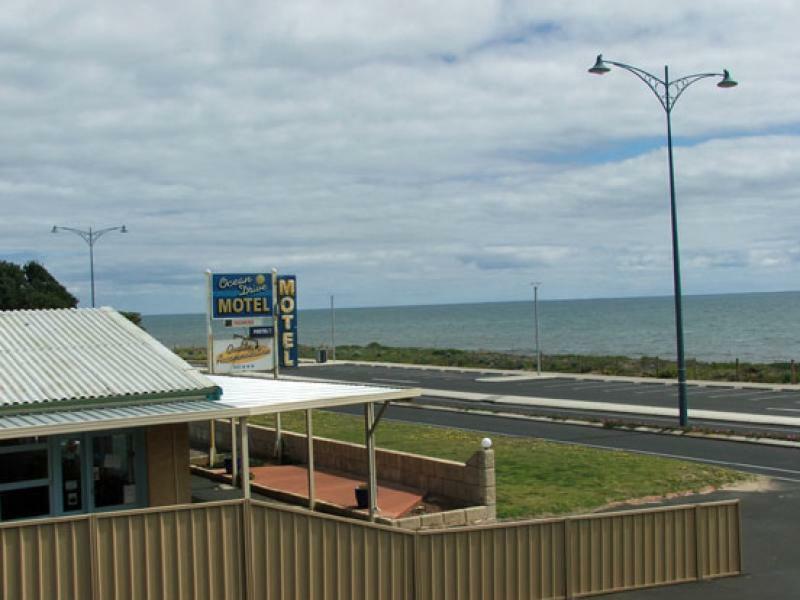 Good budget accommodation and would happily recommend if you don't plan on spending much time at Motel. Thought it would be nice to stay across the road from the beach but it was full of rocks. The motel: 1st floor, 3 nights. Bad door seal - wind whistled through a lot, couldnt open the shower door all the way - it hit the toilet (towel rack was high above the toilet too - practically useless), some random older guy had a key and just unlocked the door and walked in asking what room it was (number is on the door!? ), no signal for wifi, foxtel was only 6 channels with varying degrees of distortion (pretty unwatchable, no decent or movie channels), back door was jiggly and hard to lock, bed was soft, fridge wasn't very cold. Bonus was a pub 60sec walk down the road. Had to go to the city centre for everything. The Shower was fantastic except in a short time it was over flowing as drainage was poor.! Speaking of poor the Foxtel channel selection again poor as was some reception, the remote was a pain.! The Bed was comfy and did I mention the fantastic shower pressure.! Location made it easy to navigate around the region from. 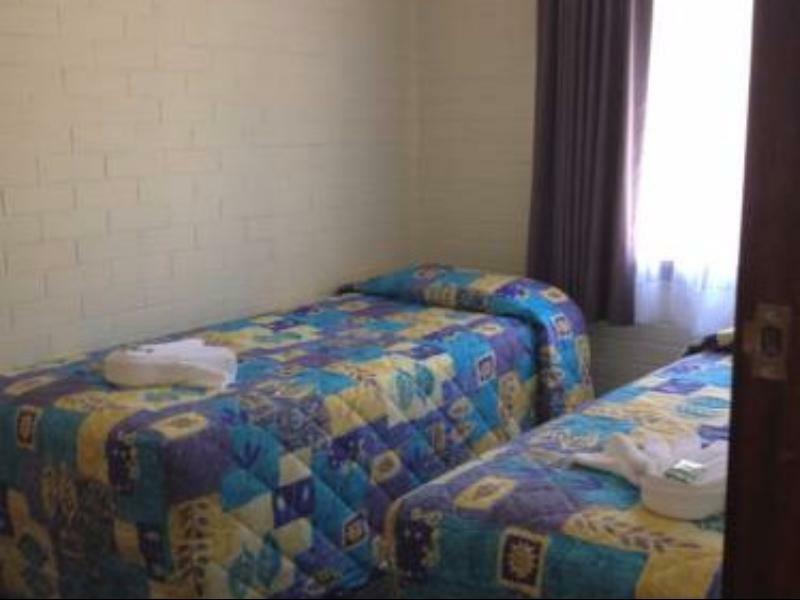 It's a budget Motel which was clean and tidy, the room was freshly painted, with a comfortable bed. I would stay there again. Read some reviews on here slating the decor, yes it's a little old fashioned but overall it's a cheerful place that's clean and well stocked. 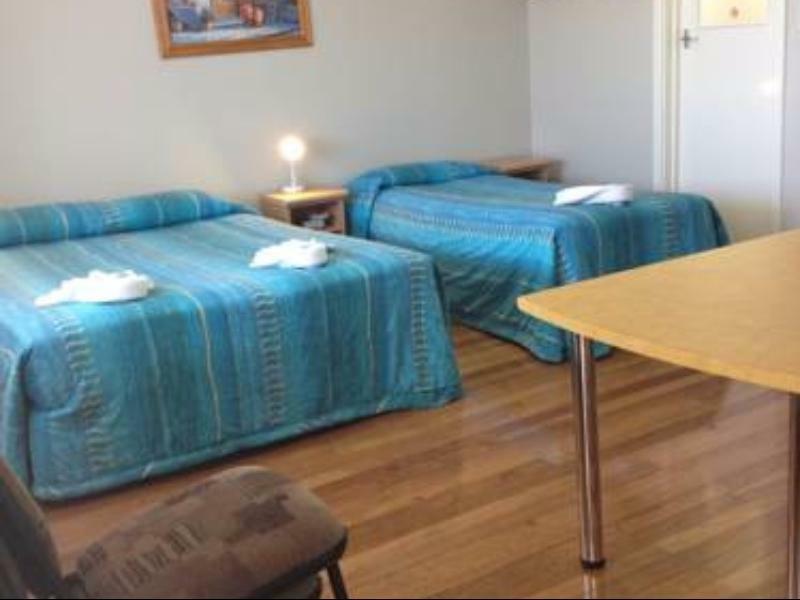 Fresh bedding, towels provided, tea and coffee equipment and a fridge, with a kitchen available for use. 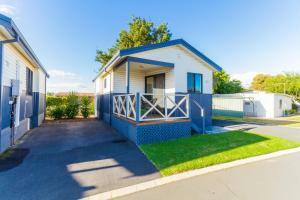 Right on the seafront, perfect location for watching the sun set. Good showers and friendly staff. Only downside was that we had to abandon our second night and tried to tell the staff that upon check-in but were told they don't do 1 night stays, so we had to pay for a night we didn't need. Having said that when we checked out early we were offered a discount next time we visit as a consolation, so overall very happy with the service! Location is the best thing about this motel. Going to sleep to the sound of the ocean. Aldo waking up listening to the ocean. Overall a relaxing stay. I enjoyed being able to walk along the beach and sit on the beach to read. Only downside being the noisy people next door. On both mornings they woke me around 6am with their talking and banging and walking back and forth in front of my window. We enjoyed the stay very much, parking is just outside the house. 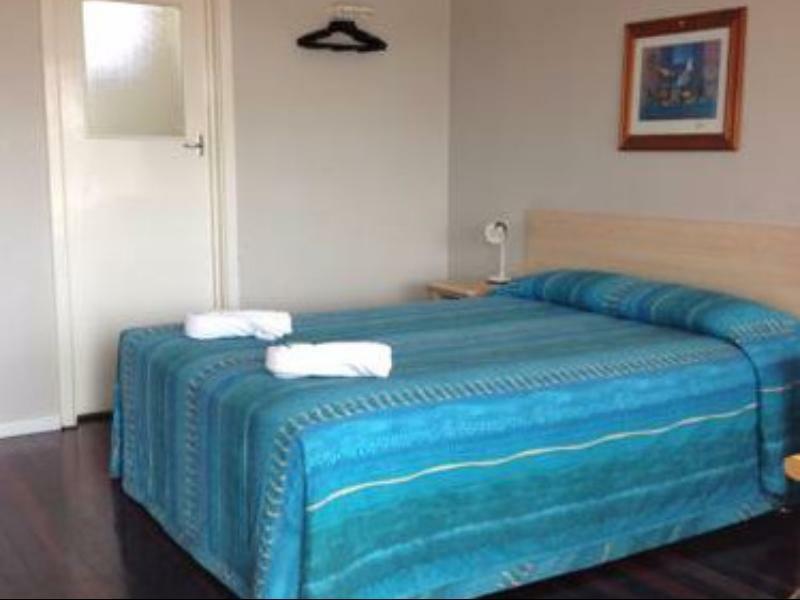 The room looks straight to the ocean, and there were 3 single beds and a double bed, very comfortable for 3 adults and 2 kids. There was a table in the room with chairs and is big enough for all of us to sit down together to eat a meal. Highy recommended for families. The location is lovely as you can look straight out over the ocean. The family room size was great. It was good value for money. We stayed in a family room with two children and we were pleasantly surprised with the size of the room. The beds were comfy and the room had everything we needed. The bathroom was outdated but was definitely clean and usable. There was free wifi but only until 9 o'clock which was frustrating as this is when we wanted to use it after the kids has gone to bed. the location - it is just in front of the beach. Rooms are spacious and clean. All in all the accomodation is worth the price. We arrived at 9 at night, we booked 4 rooms but were separated in 2 apartments 2km away, the hotel was in total darkness when arrived, since we were not familiar with the place, it took us sometime to locate the apartment, 2 of our cars knocked on a post while trying to reverse-park the cars, scratches are found on bumper and doors, wonder how much to pay for the repairs to car rental company, total disappointment to this hotel. location by the beach, near city center, good for those who drive. Comfortable but can be really great if we knew how to operate the heater during the cold night. Kitchen is only available as shared facility.